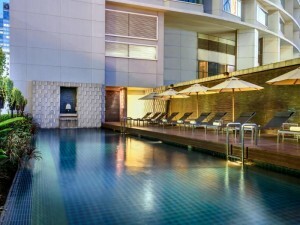 The Pullman Bangkok Grande Sukhumvit Hotel is a huge five star luxury hotel on Sukhumvit Soi 21, located just one minute from Soi Cowboy and less than five minutes from Terminal 21. The hotel has excellent facilities such as a large swimming pool and a well equipped fitness center for guests. 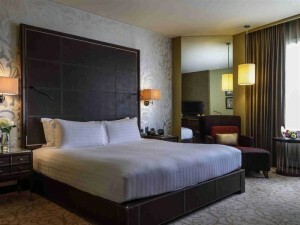 Free high-speed Wi-Fi is available in all rooms and throughout the hotel’s common areas. The Pullman Bangkok Grande Sukhumvit is one of the best luxury hotels in Bangkok for guests that want to visit Soi Cowboy.